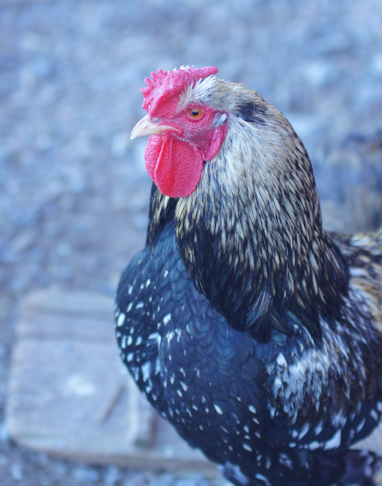 Listen to the story about the farm, ask the farmer, and experience real farm-life close to the city. Do not forget to read our booking rules and regulations before you make a booking with us. 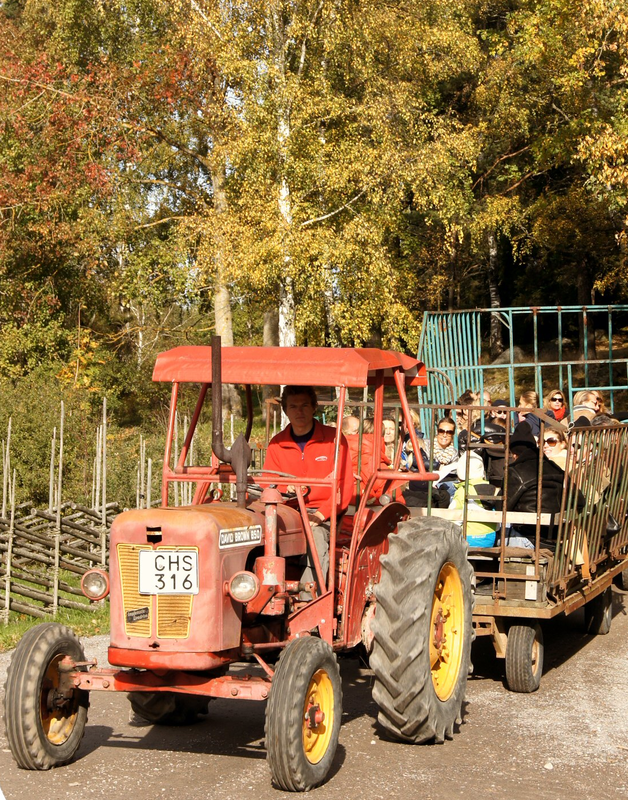 The price of a guided tour is 550 kr excluding VAT, and includes 20 children and their teachers. To maintain a good quality in our guided tours and to ensure a quiet and safe environment for our animals we can unfortunately not arrange guided tours for more than 20 children per group. You walk around on your own to see the animals at the farm. 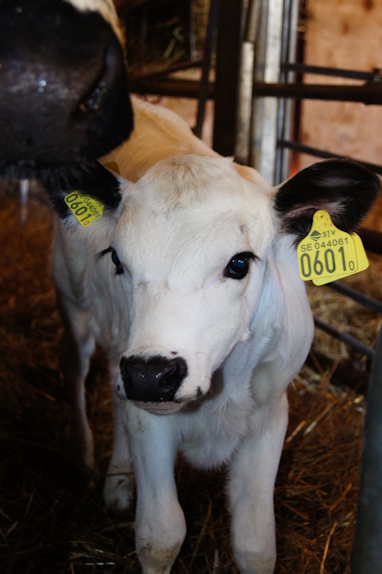 The price for Open Farm is 350 kr excluding VAT and includes 20 children and their teachers. If more children wish to participate you have to order an additional folder in order to be able to separate the group. This is to ensure a quiet and safe environment for our animals. A maximum of three groups can have Open Farm simultaneously on the farm. The following things can be booked extra, all prices are excluding VAT. Pick-up/Drop-off with horse and carriage - 650kr/1-way or 1100kr/2-way We can pick you up/drop you off at Skavlöten, Hägernäs station (about 100m from the station) or Arninge (Antennvägen). Up to 25 people can fit on the tractor-wagon. 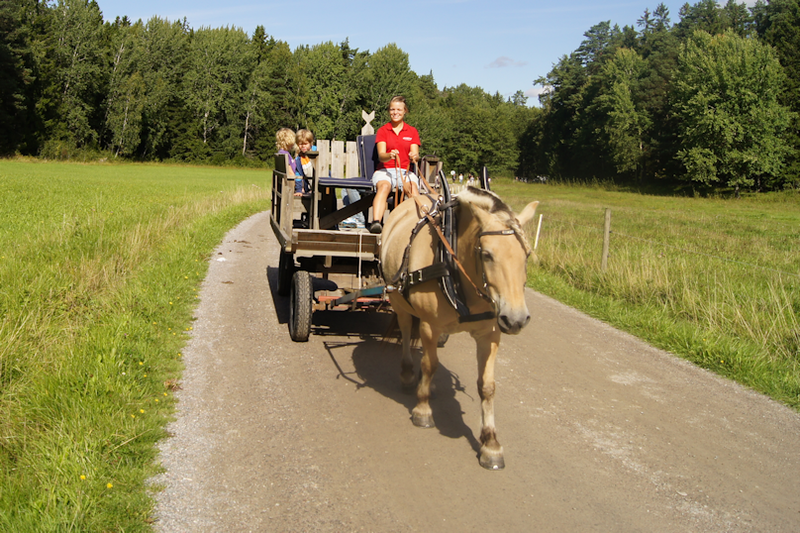 Unfortunately we have no handicap-adapted wagons, neither for horse or for tractor. Rent a pony from us for ponyriding! You lead the pony. 500kr/1 horse 1 hour. Thereafter 250 kr per horse or 250 kr for an extra hour. We prepare the ponies and supply you with helmets. Possibility to wish a pony. 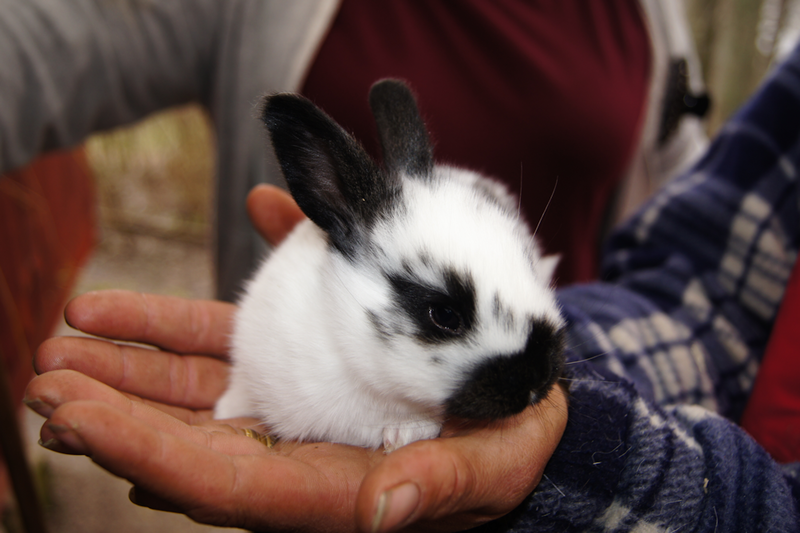 For extra time with the animals we can set up a petting-pen (only in combination with a Guided Tour or Open Farm). 300kr / 1 hour. Snack: home-baked cakes or cinnamon rolls with juice. A thermos of coffee for the adults. 35 kr/ person. All prices are excluding VAT (25%). For groups with few children and many adults we can set up a ride into the woods with accompanying guide. 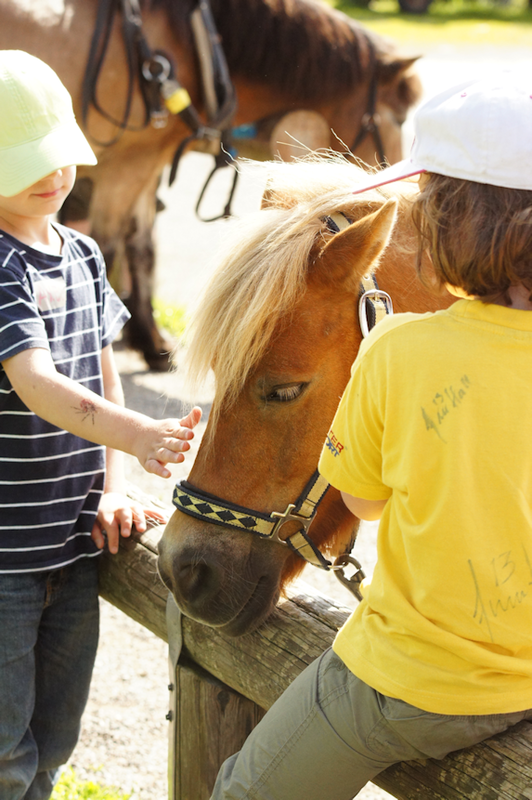 Read more under riding tours for Young children.